Me watching Roberto from BHF eat an imaginary burger at NFP Tweetup 2nd birthday. NFP Tweetup is four years old! Happy birthday to you – I remember when you were just a two year old toddler, running around with your birthday cake, all cute and innocent. Many happy returns! So to celebrate, the upskilling, infrastructure and culture that an organisation needs to do digital well is up for discussion at #NFPtweetup 4. You don’t need a digital department to do digital. You don’t even need senior leadership doing it well themselves (they often do it badly). You just need a champion, one person with the passion, flair and talent to run with it. A confident personality who starts Hangouts between offices, who can extract information that informs meaningful decisions from Google Analytics, and can tell email marketers what content leads to clickthroughs. If you have such a person, nurture and encourage them. Put them in meetings with senior staff, and let them pass on their learnings. Doing digital well often means diving headfirst into unfamiliar platforms. This can take courage, and the conviction that it’s worth it. Because to some, you should have to justify spending charitable funds on what amounts to playing expensive toys online. But done right, digital will focus your charity all the more clearly on its goals, not distract you from them. It can still be risky. So prepare your case – how does digital achieve your charity’s goals? That said, let’s not pretend that commitment to digital from top to bottom is a pre-requisite to success. Staff training helps. Lots of digital is an art, but much more is a science. It can learned and honed. 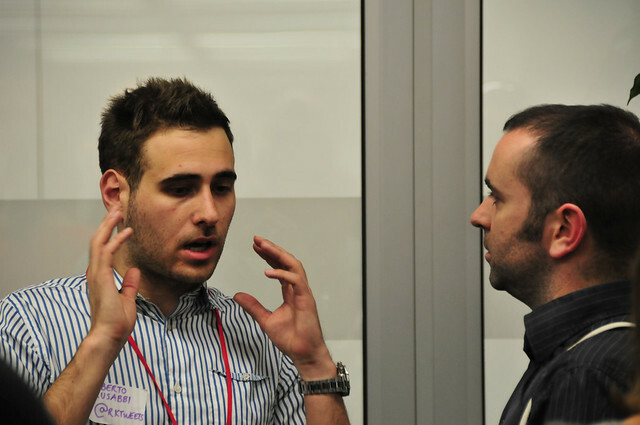 Give your staff the time to attend events like NFP tweetup, (plug klaxon) SLDCM, and Barcamp NFP. The ideas they’re exposed to could transform your charity. If not, digital is a groundswell movement anyway, not a dictum delivered from on high. Most of the greatest online movements didn’t start at a senior level. So let officers and administrators stay busy excelling at digital, self taught and self driven (thanks to Rachel and the Beautiful World team! ), changing the world around them bit by bit, while directors and CEOs watch from the sidelines. They’ll have to catch up eventually.